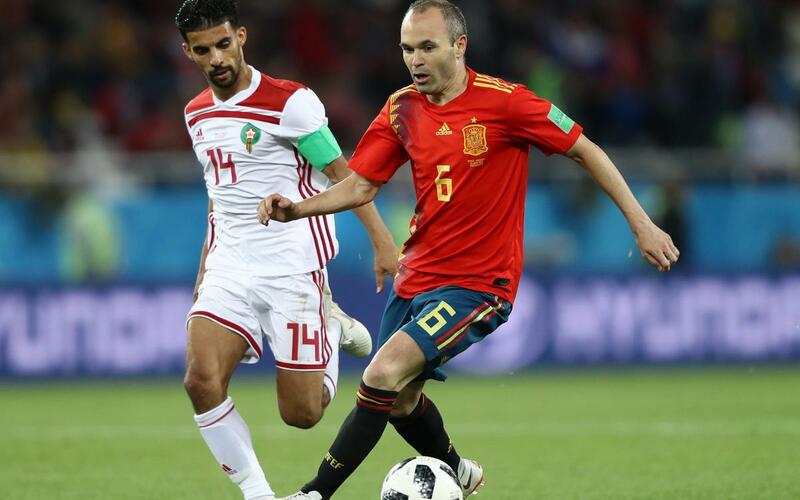 Four more Barça players will be gracing the knockout stages of the World Cup as the Spanish internationals make it through Group B in first place after a thrilling 2-2 draw against Morocco. They will play the hosts Russia in the round of 16 on 1 July. Gerard Piqué, Jordi Alba, Sergio Busquets and Andrés Iniesta started the game and played the full ninety minutes which ended well for Hierro’s men as Aspas scored the equaliser in extra time. In the other game, Iran equalised late on against Portugal. These goals were crucial as they meant Spain topped the group when it looked like they would end up in second place until the final moments. The Moroccan national team took the lead early on thanks to a goal from Boutaïb in 14th minute. Spain responded through Isco, who was assisted excellently by Andrés Iniesta (1-1, 19 minute). In the second half, En-Nesyri put Morocco ahead once more with nine minutes to go. It looked like Spain were destined for second place and a meeting with Suárez’s Uruguay until the late goals turned the night around in thrilling fashion for the Spanish national side.